Before filing for bankruptcy, you should know that not all debts are treated equally. For example, certain debts,called Priority Debts, cannot be discharged, or forgiven, and must be repaid in full. Priority Debts, or debts that take priority over other debts, cannot be forgiven in the event of a bankruptcy. These Priority Debts are called so because they will be the first to receive the proceeds from the sale of your assets, even if you have no assets with which to pay them down. Secured Debts: “Secured debt” refers to a loan that is secured by some type of asset, like a car or home, which can be repossessed if you don’t make your payments. Fines, penalties, or fees owed to any government unit: Speeding tickets, vehicle registration fees, tax penalties, or any other government debt cannot be forgiven. Student Loans: Student loans directly provided by the government cannot be discharged unless you can show that repaying them would cause you “undue hardship,” which is nearly impossible to prove. Benefit Overpayments: If you received unemployment benefits, but were sent too much, you may be required to pay back the excess. This debt cannot be forgiven. Debts related to “willful and malicious injuries to person or property”: If the court has ordered that you pay damages for intentional injury to a person or their property- including DUI- filing bankruptcy will not clear or reduce this debt. 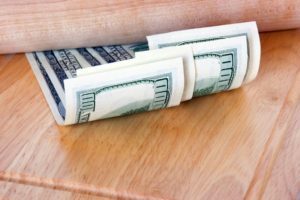 Alimony, spousal support, or child support debts: These debts cannot be included in Chapter 7 bankruptcy, but can become part of a Chapter 13 bankruptcy payment plan. Taxes: Current tax liability, past tax debts, any fees or penalties, or payroll taxes, are considered priority debts and most cannot be forgiven in a bankruptcy. If you are unsure whether your debts can be discharged, or to talk to one of our bankruptcy professionals, call Sam Henry Law today for a FREE initial consultation.